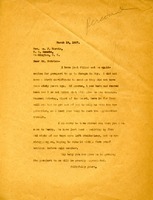 Berry proposes a date for Fletcher's visit and provides travel details. 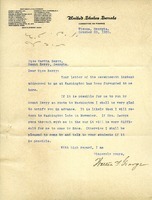 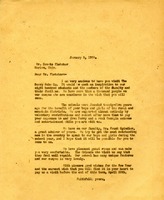 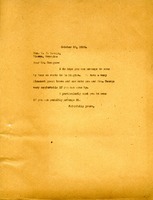 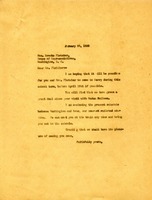 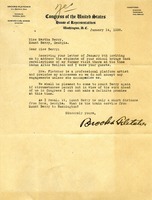 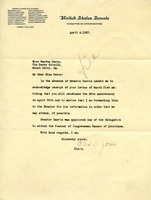 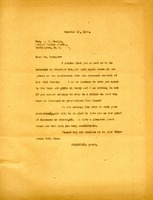 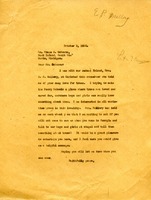 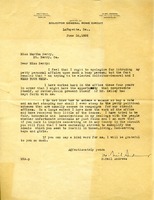 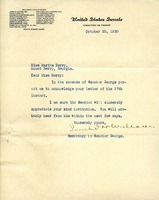 Fletcher accepts Berry's invitation to come to Berry if circumstances permit, specifying that he only accepts engagements if Mrs. Fletcher, a professional platform artist, can accompany him. 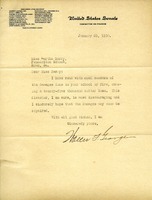 He recalls an earlier visit when he and Alice Neilsen were guests at the school. 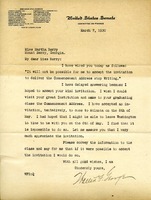 Berry invites Fletcher to visit and speak to the students, commenting that faculty member Frank Spindler is a great admirer of Fletcher's.